Did you ever wonder what it really takes to be truly happy? Many people tried pursuing relationships, money, and success, and most of them have reached that point when they have realized that happiness does not really come from the outside, or from the world where you live in. In all essence, happiness is something that comes from deep within you, lying in that secret place within yourself, waiting for you to finally tap it and release it from its prison. Happiness is something that has long been present inside you. Finding happiness inside yourself is like peeling off the layers of onion, with each layer representing your thoughts, fears, and negative beliefs. As you slowly peel away each layer (who you are not), you will gradually reach its very core (who you are). And right there and then, you will find your purpose and meaning in life. You will finally discover yourself and learn the real meaning of happiness. For you to be truly happy, you need not lock yourself up inside a closet and meditate for the rest of your life. 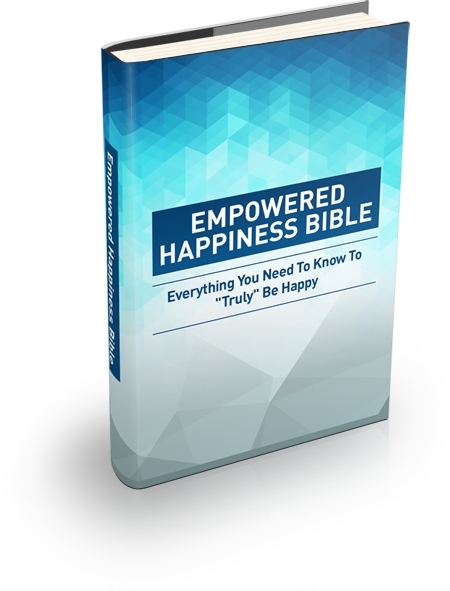 To be truly happy, there are some things that you have to learn first and in this Empowered Happiness Bible, you are bound to unravel what it takes to finally know the meaning of HAPPINESS. What Is The Empowered Happiness Mindset?